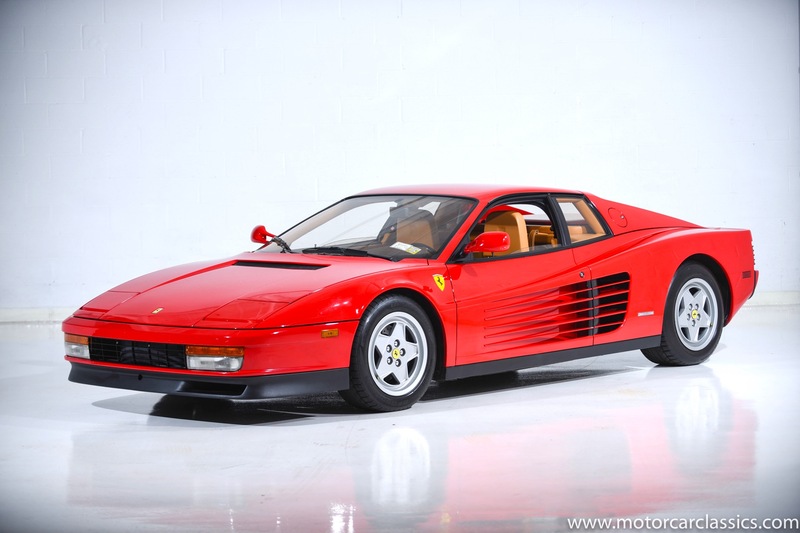 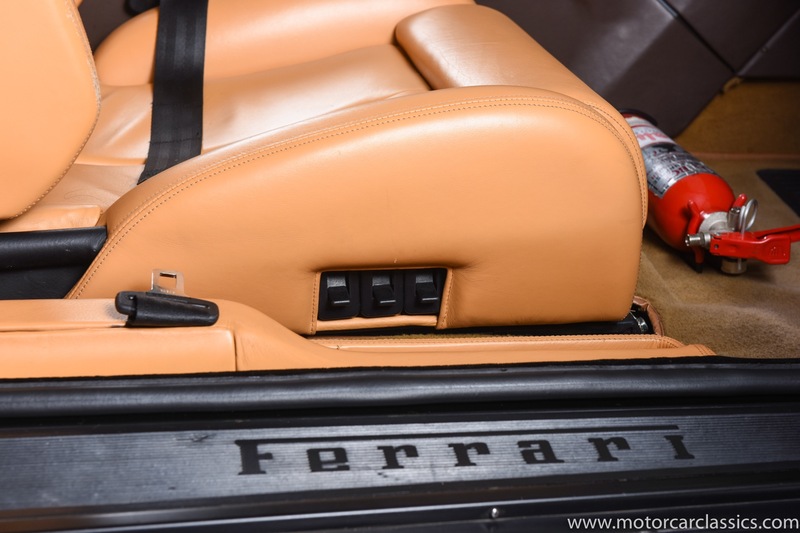 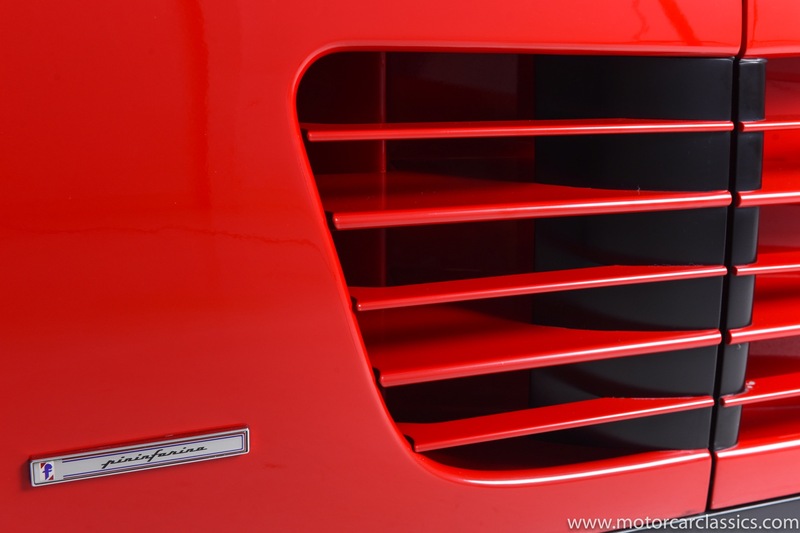 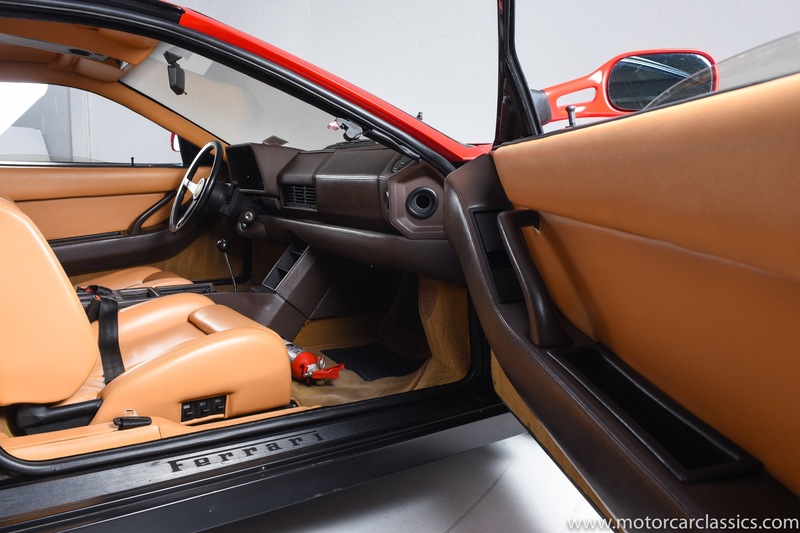 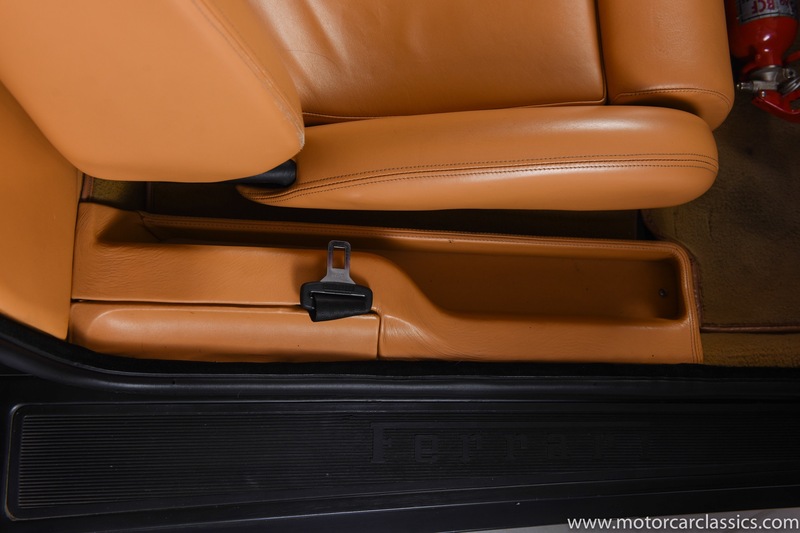 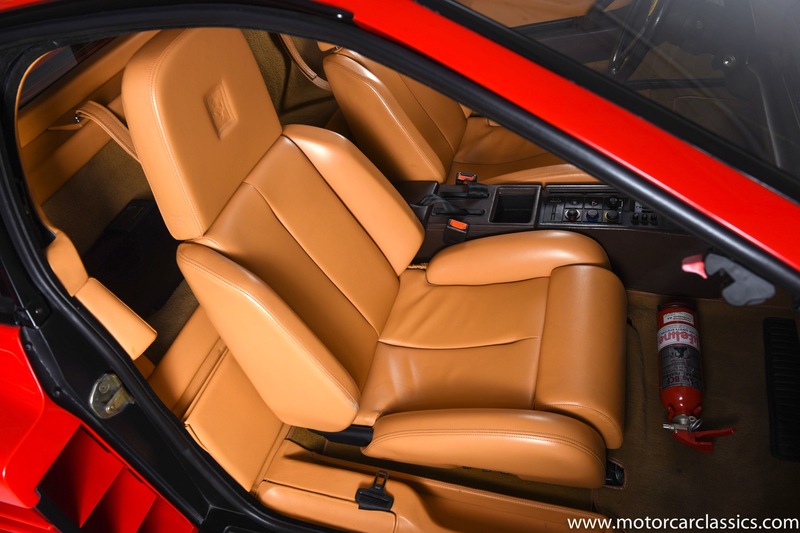 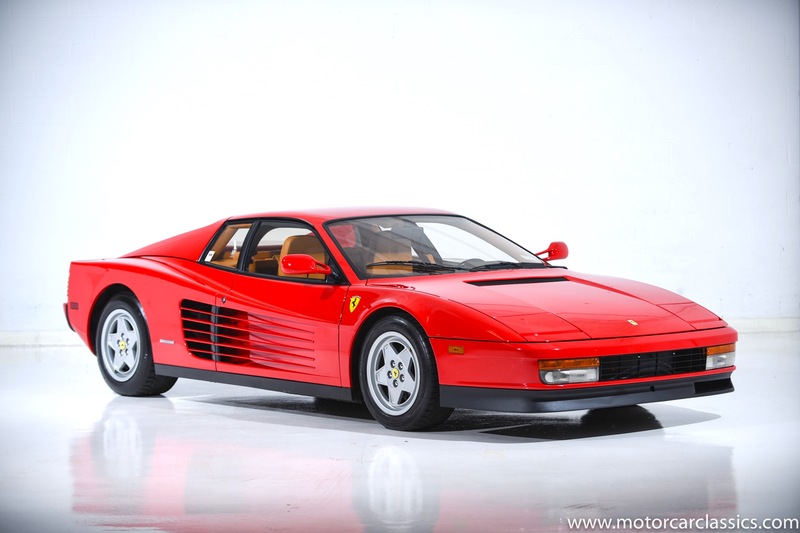 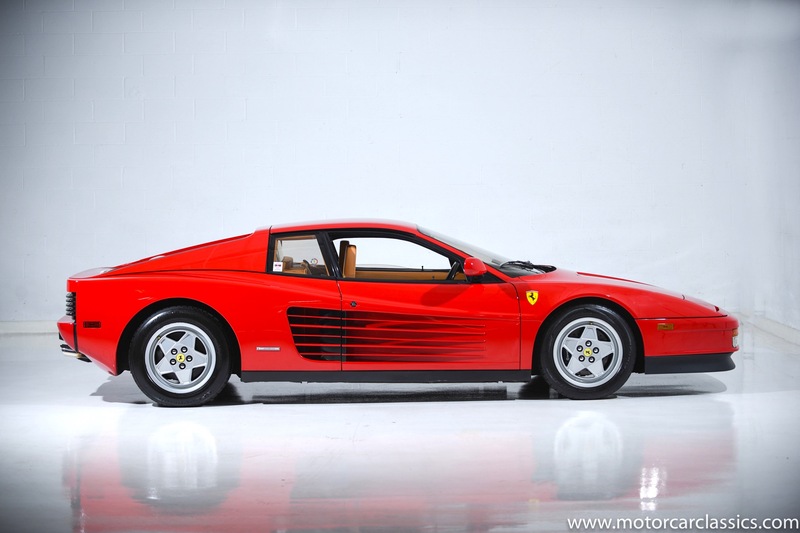 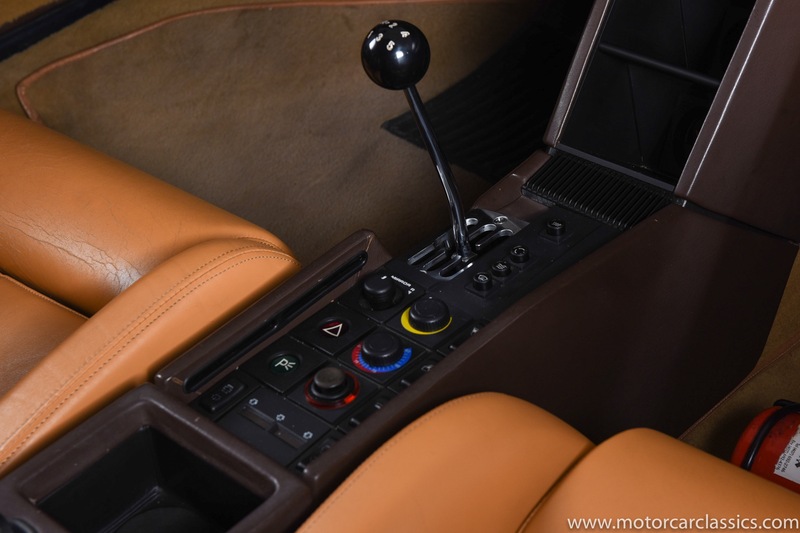 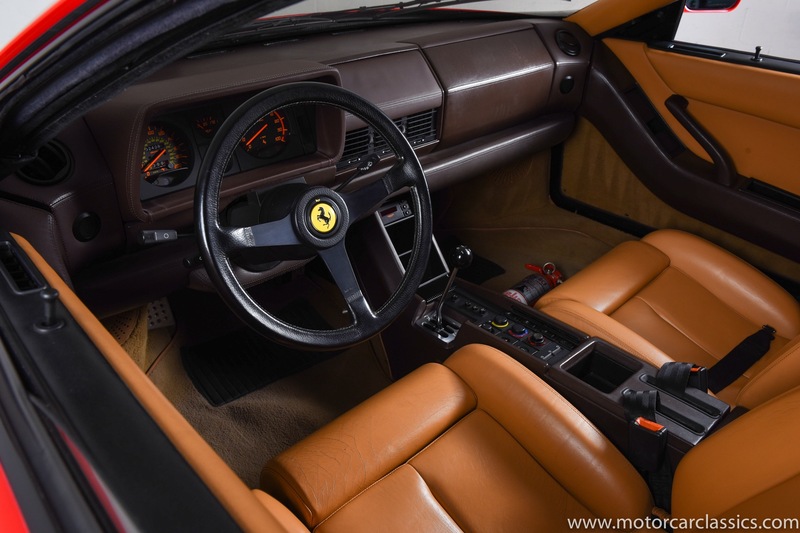 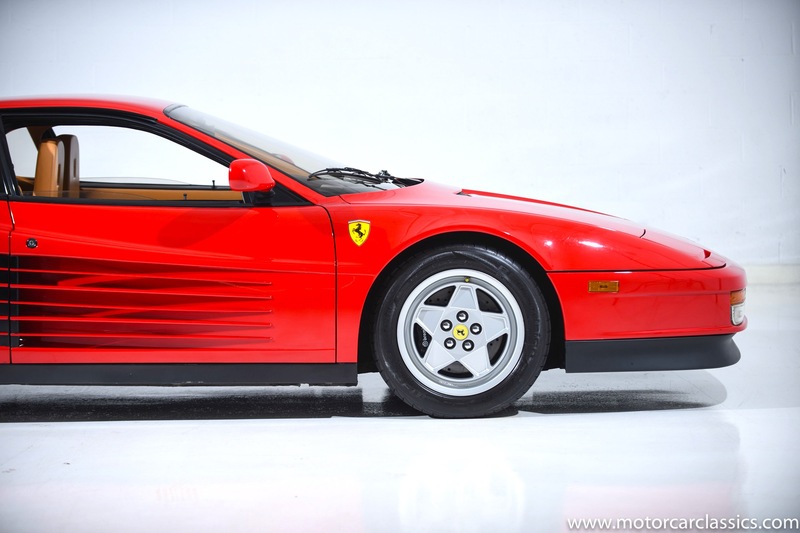 1991 Ferrari Testarossa for sale. 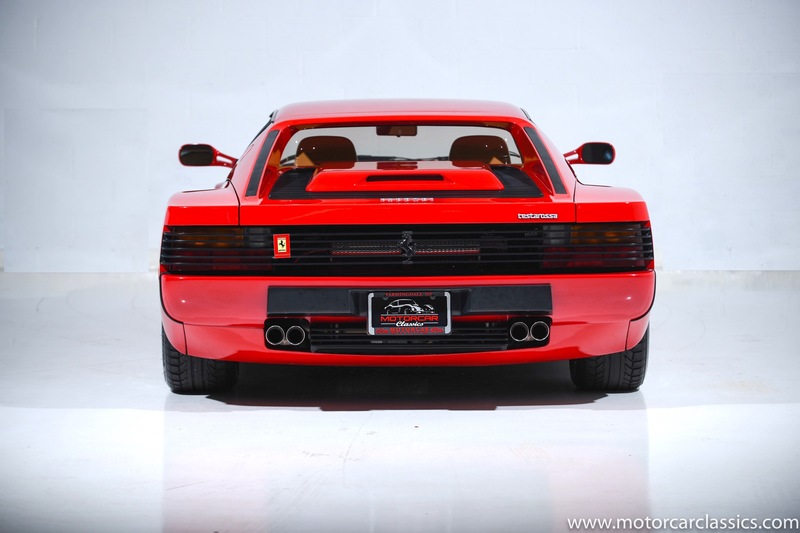 Motorcar Classics is pleased to present this 1991 Ferrari Testarossa (#087791) featured in Rosso Corsa Red with Tan leather interior. 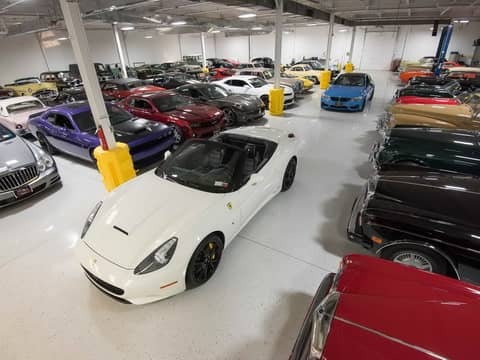 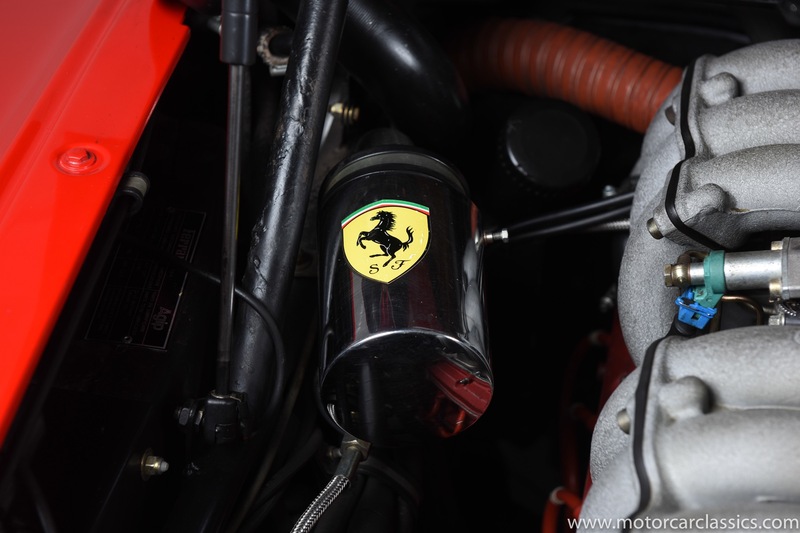 This fine Ferrari has been serviced and maintained for last 11 years by a master mechanic whose family & shop was the headquarters for the scrutineers at the Watkins Glen Grand Prix from 1948-52. 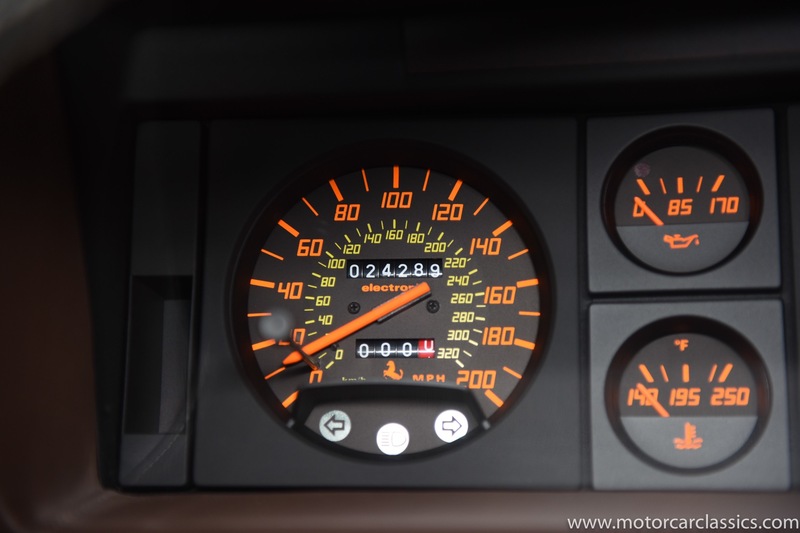 It has covered 24,289 miles. 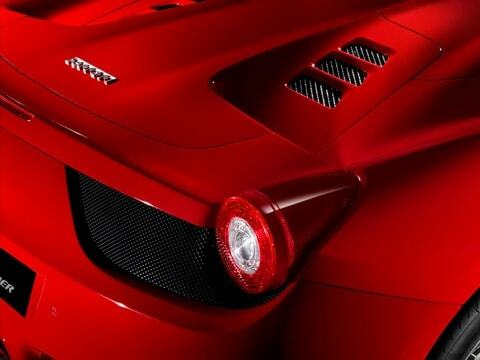 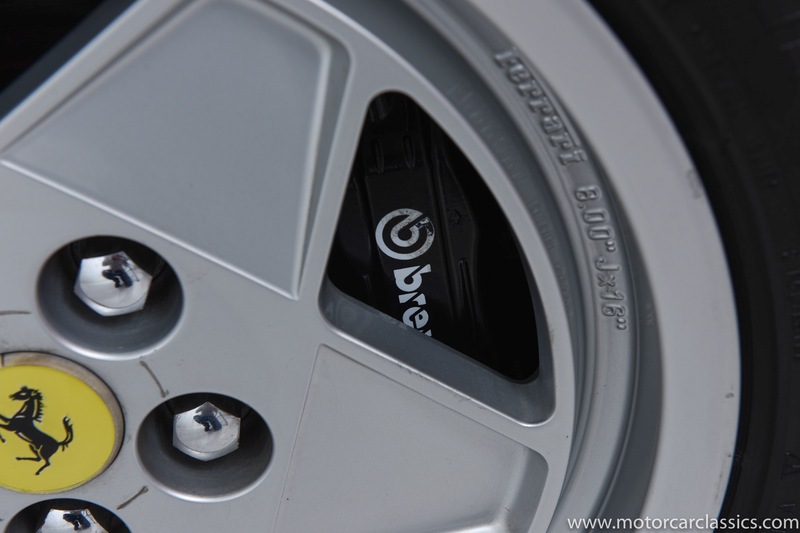 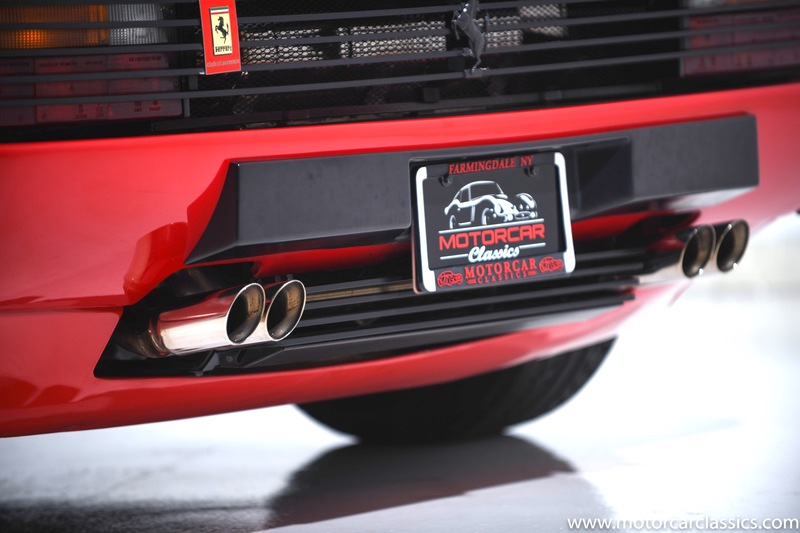 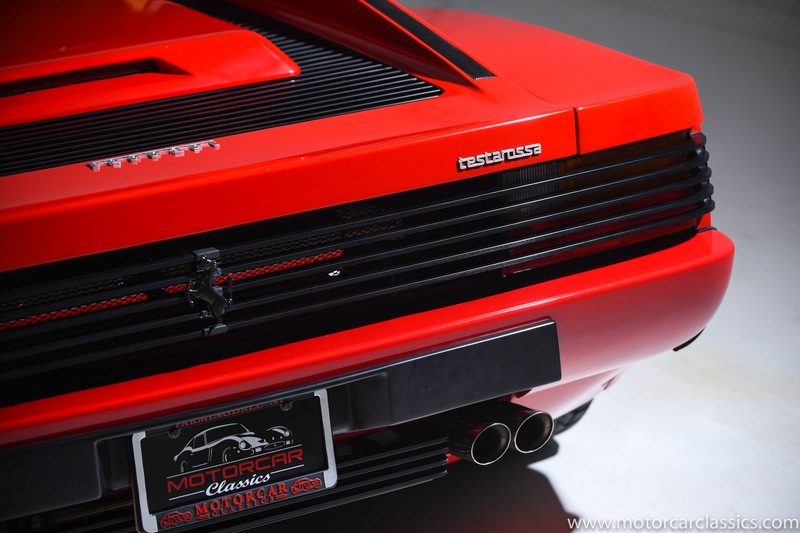 This Testarossa has been upgraded with Brembo brakes on the front wheels and a Tubi exhaust. 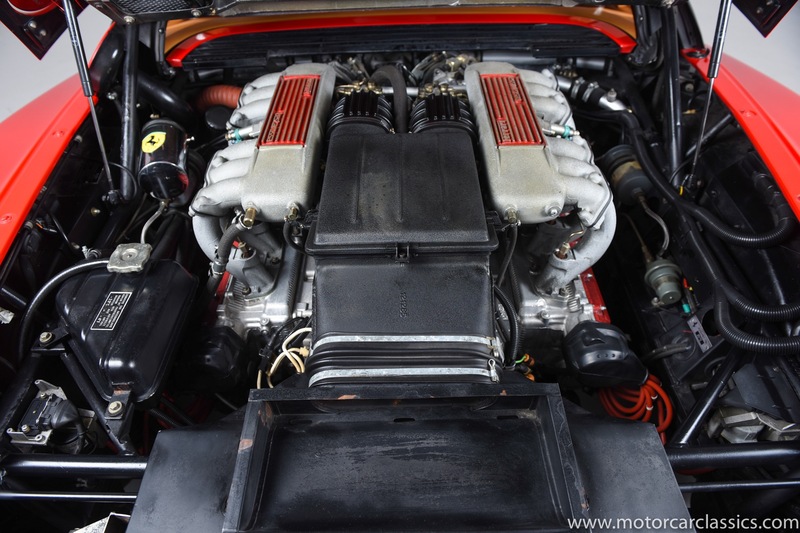 In 2014 the car had an engine-out major service including new belts, Quicksilver stainless steel primary cat and secondary cat bypass pipes, water pump repair, new pump shaft, new seals, tensioners, gaskets, clutch bearing & throwout & seals, K&N air filter, new gas & aircraft-grade brake lines. 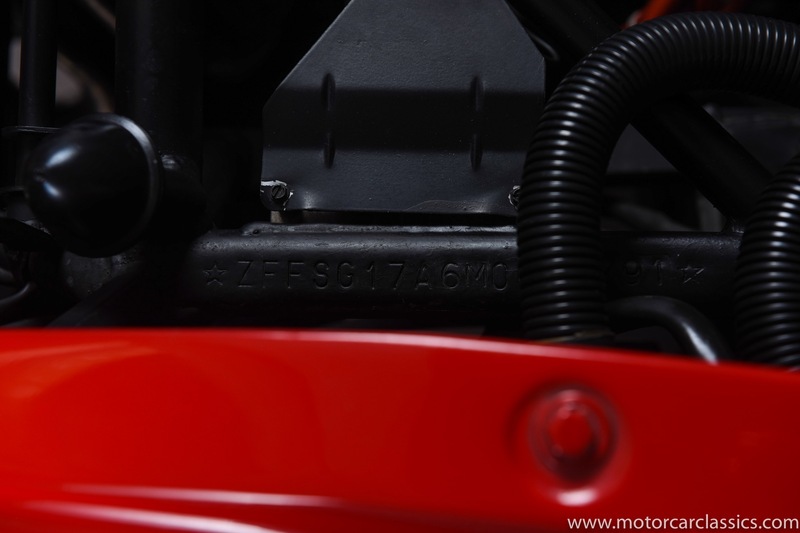 It also has new air pump and gasket/cam covers, spark plug harnesses, new distributor caps w/gaskets and new NGK spark plugs. 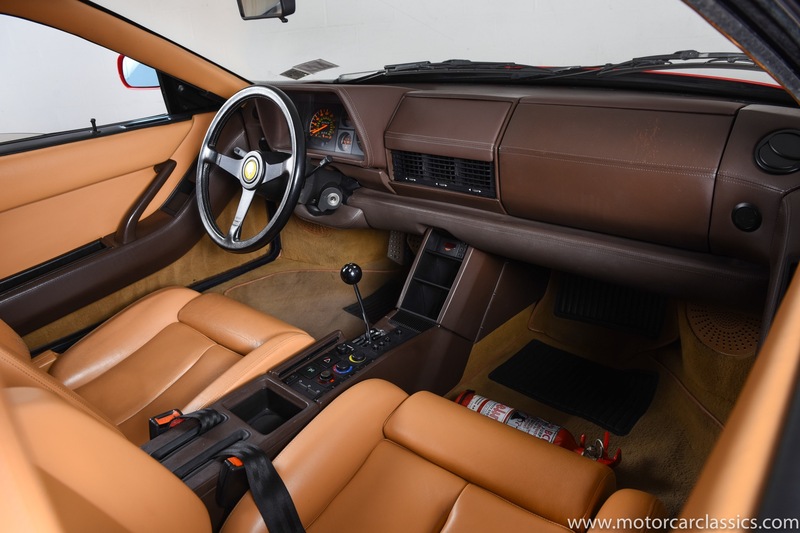 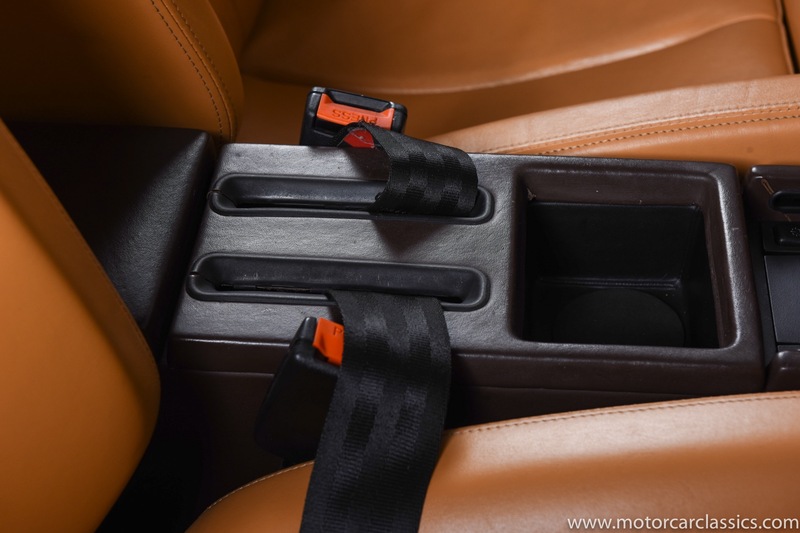 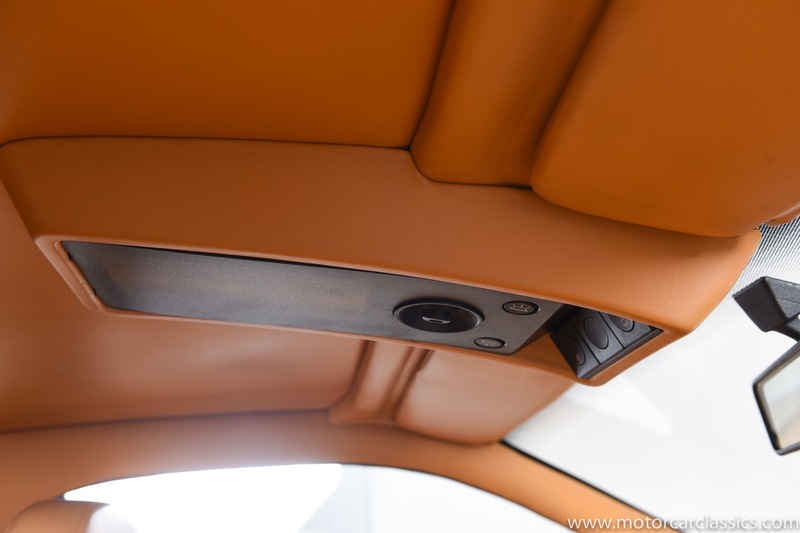 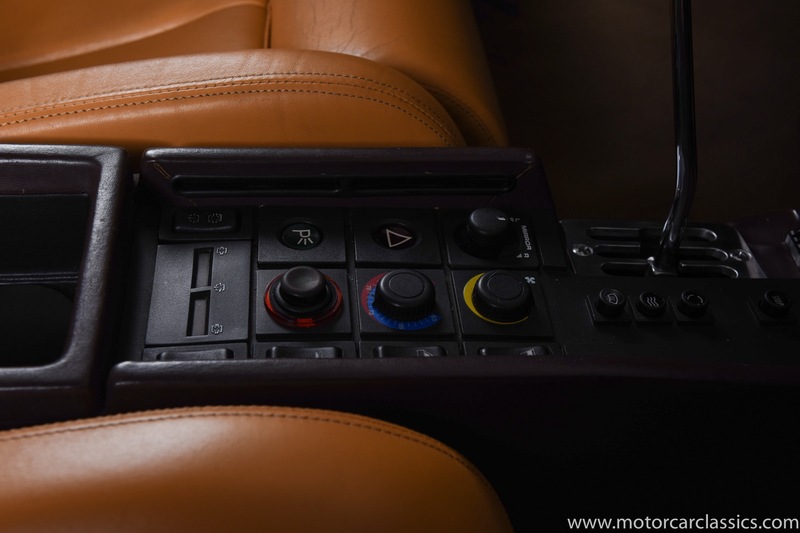 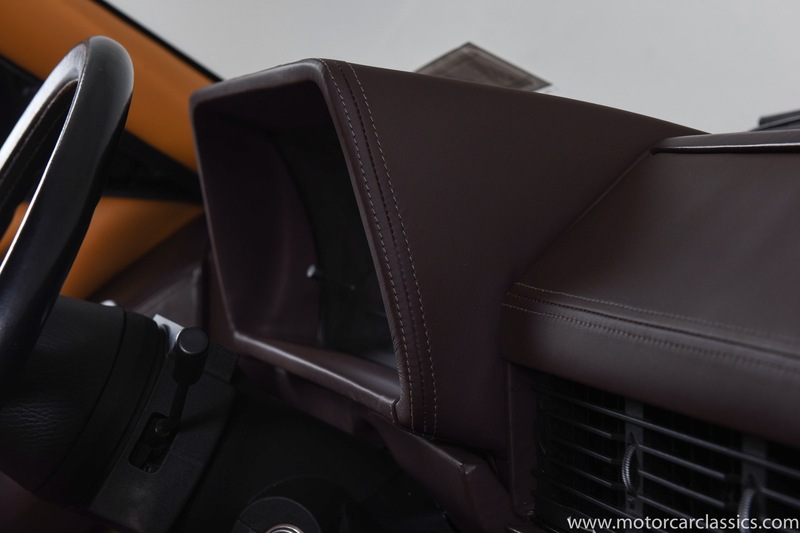 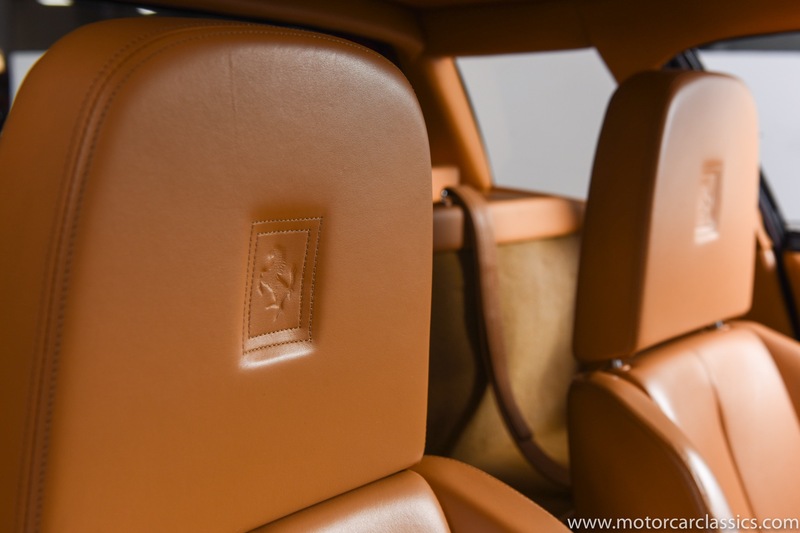 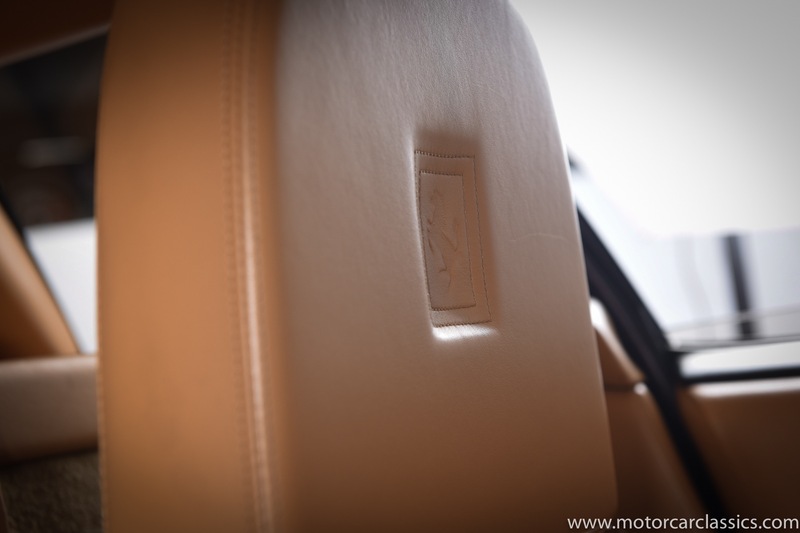 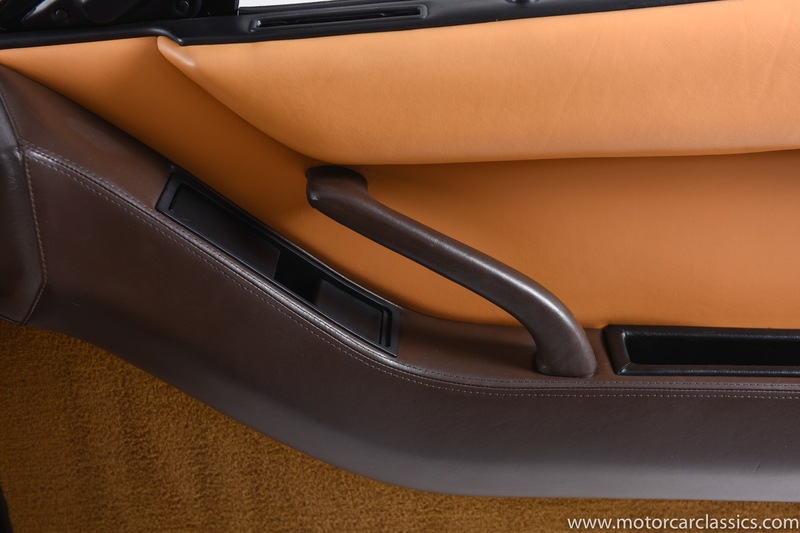 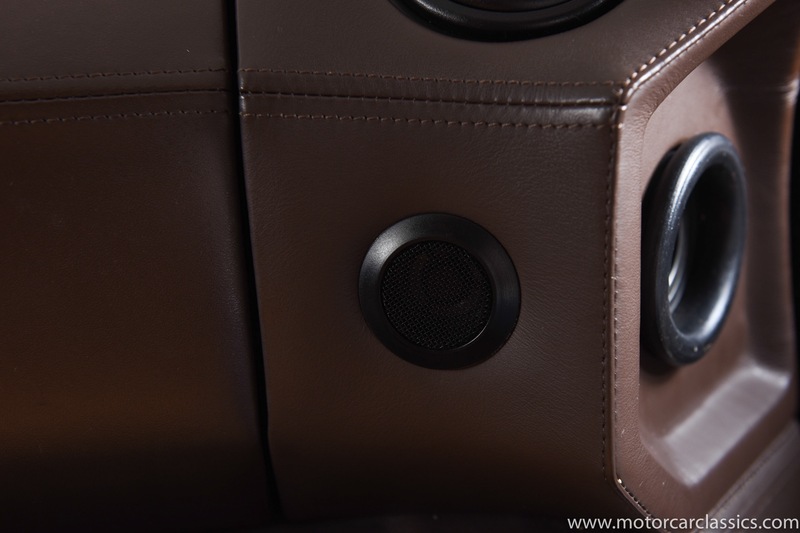 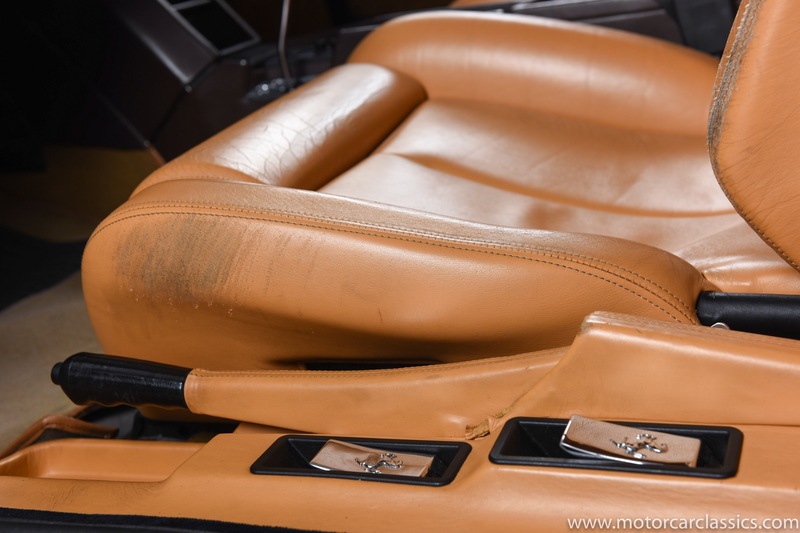 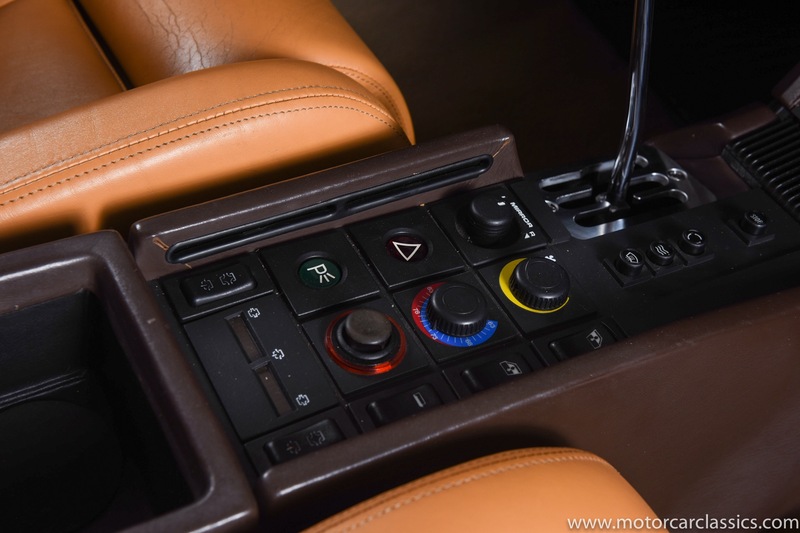 Cosmetically the car has professionally installed new dash leather (with an additional bolt of leather included), new under engine hood insulation, and rebuilt front spoiler. 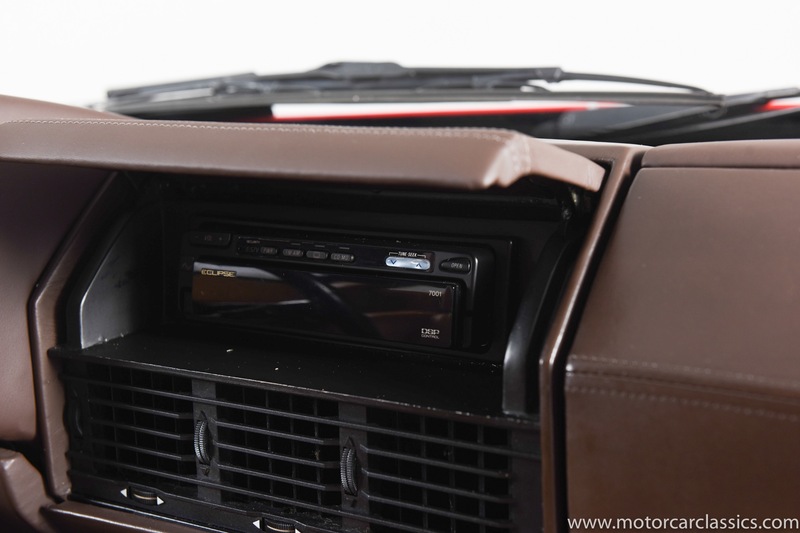 It has a Eclipse AM/FM radio/remote and with 8 Disc CD Changer. 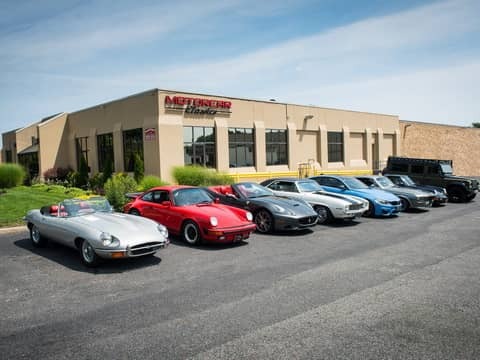 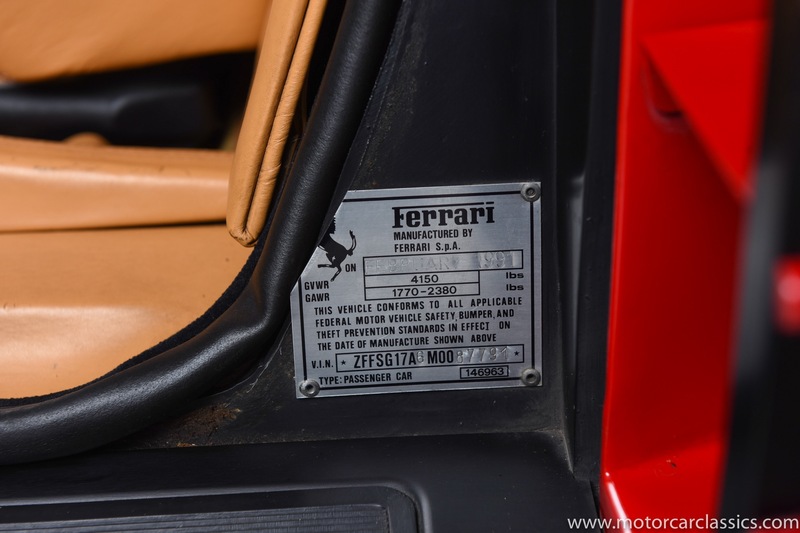 The car has an exceptionally documented service history with a binder that is divided into annual sections going back to 1997 containing over $70K in service receipts. 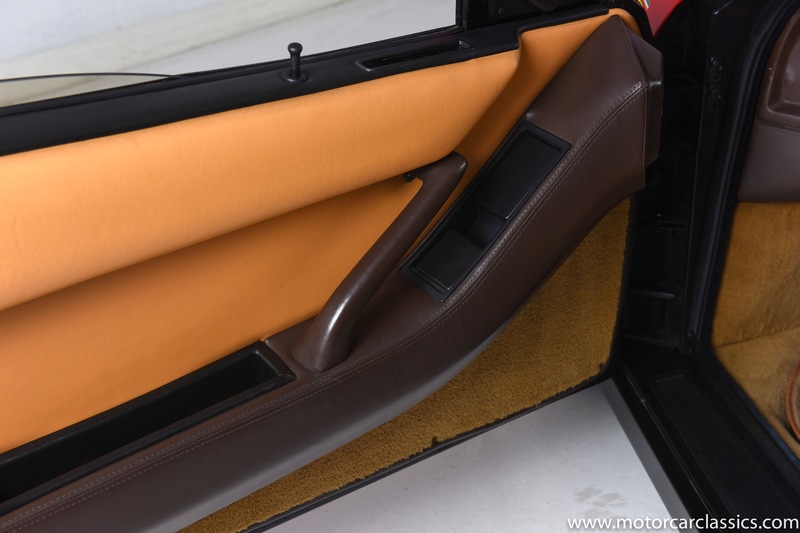 It includes the original owners manual with leather pouch. 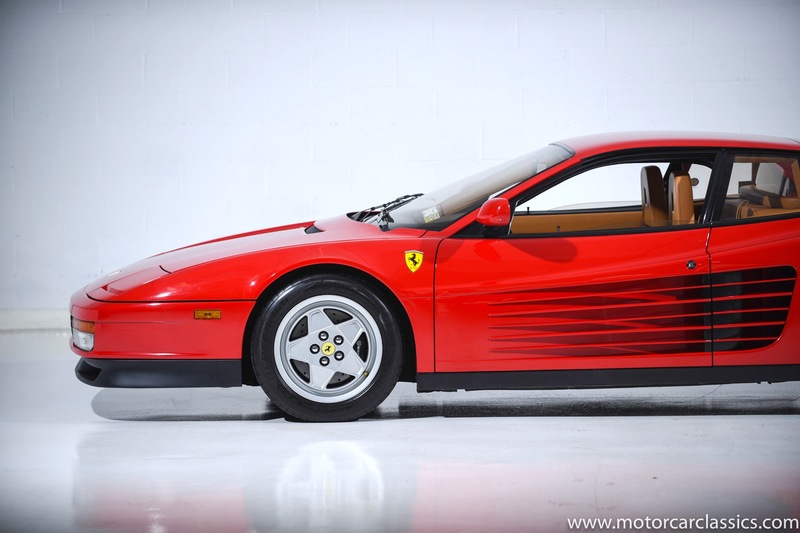 This car was Peoples Choice Award Winner at the 1999/2000 Art of Ferrari meet, and again at the 2016 Crystal City Ferrari Show. 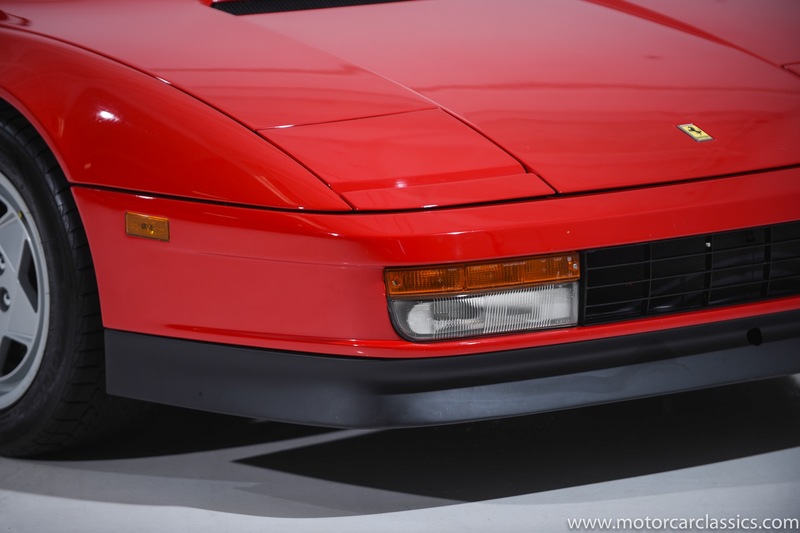 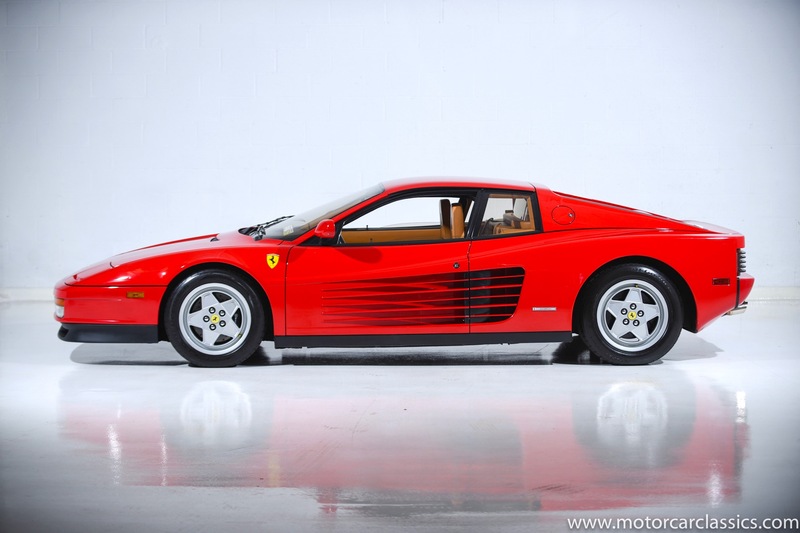 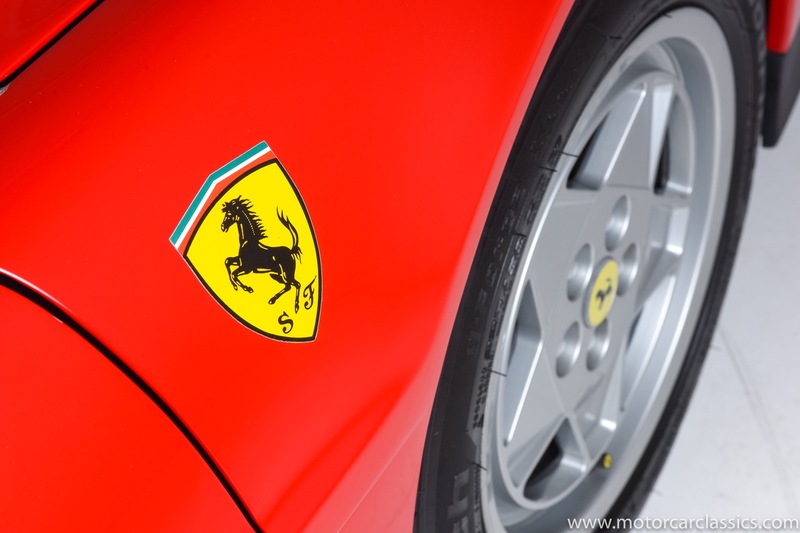 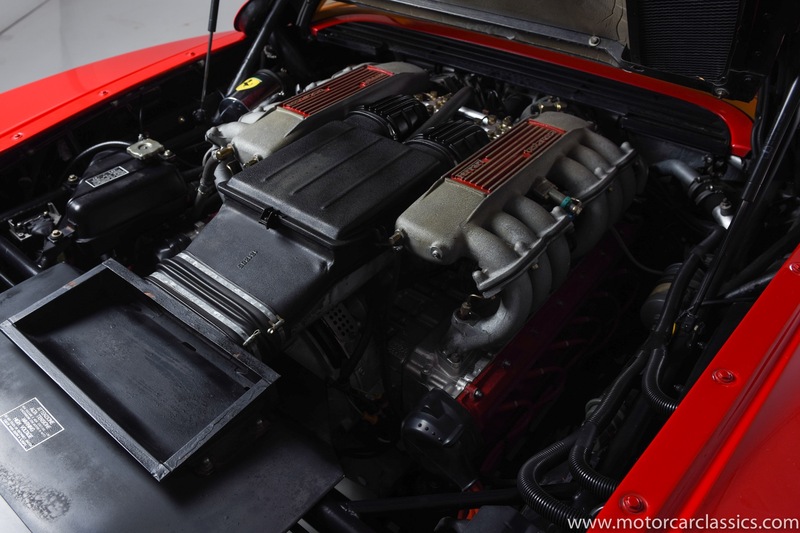 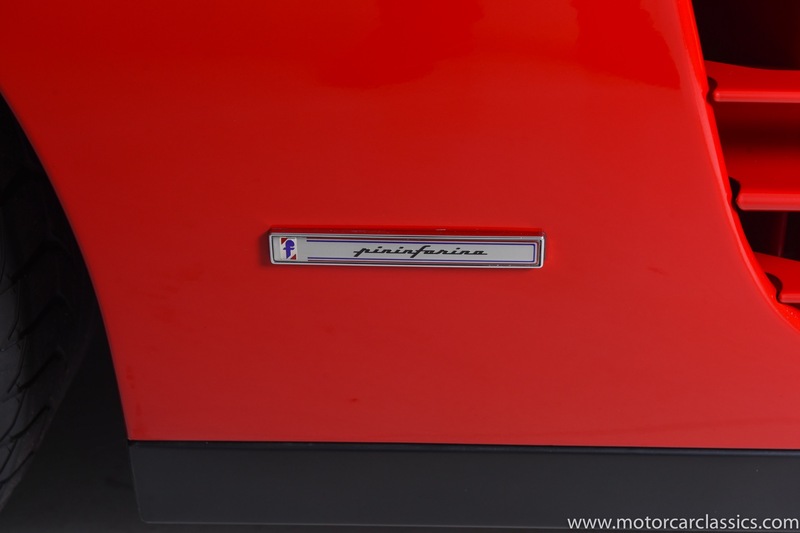 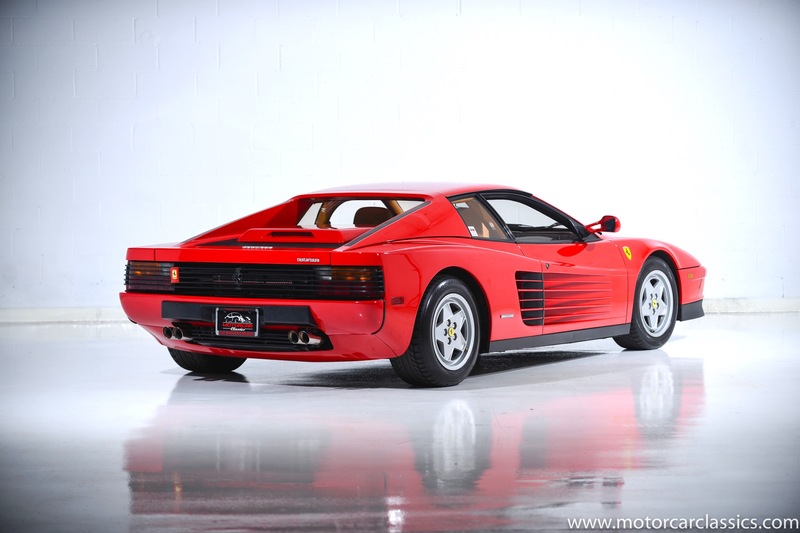 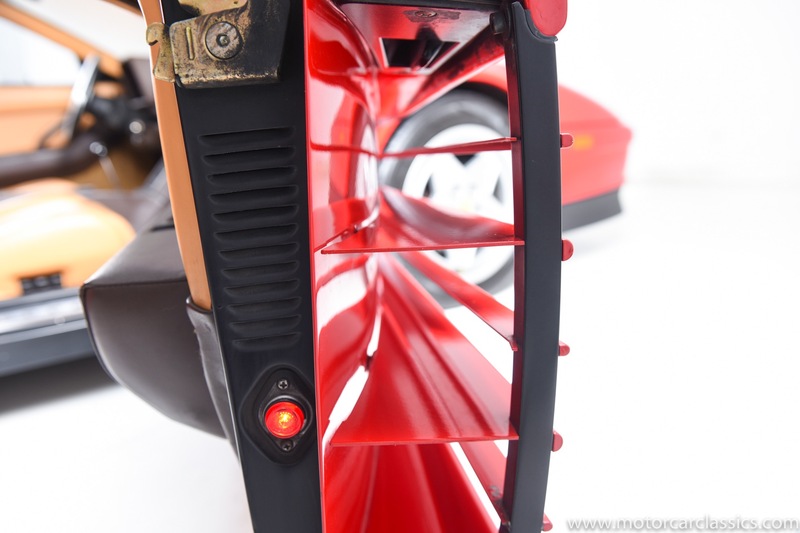 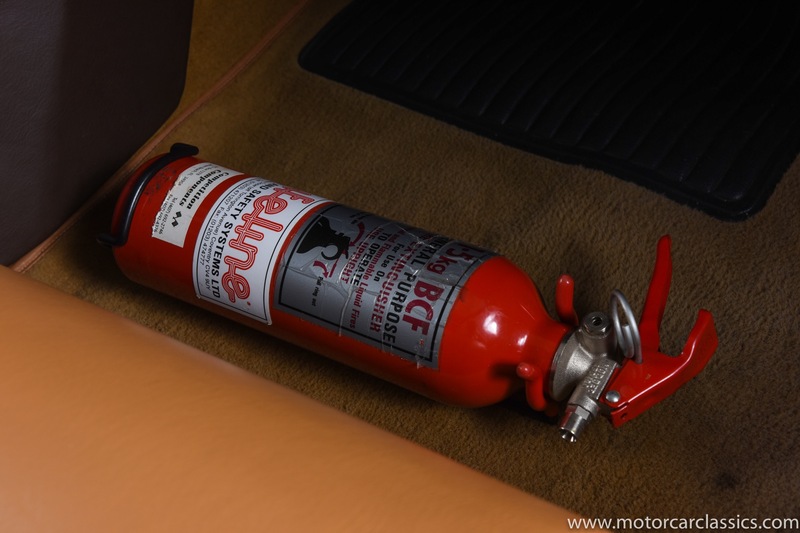 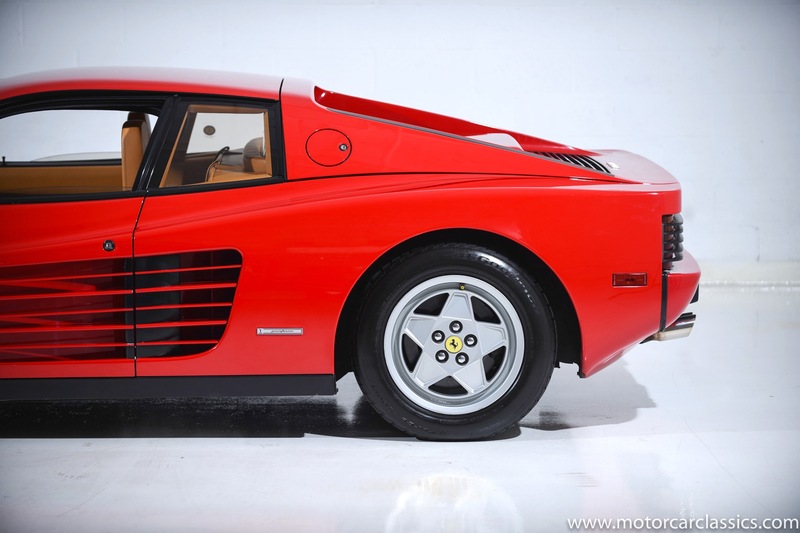 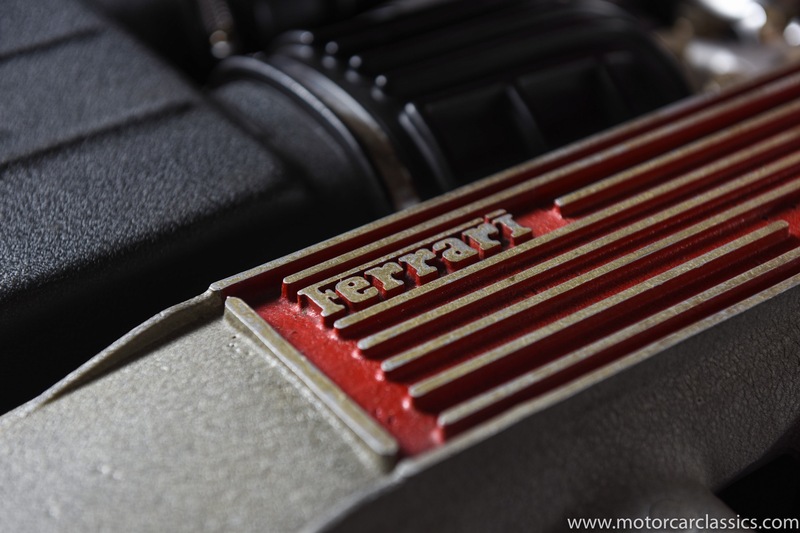 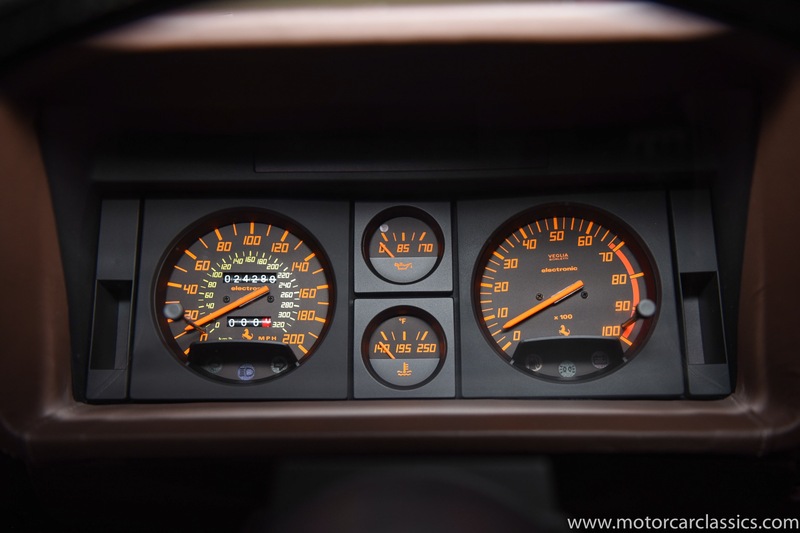 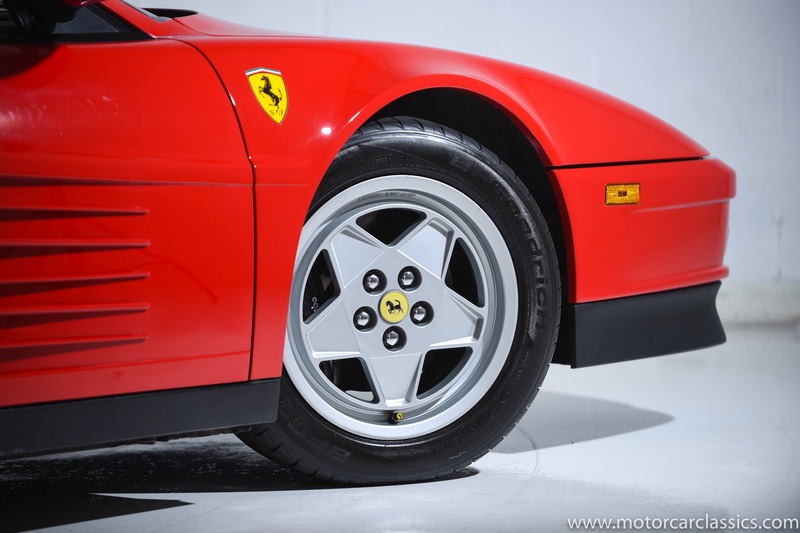 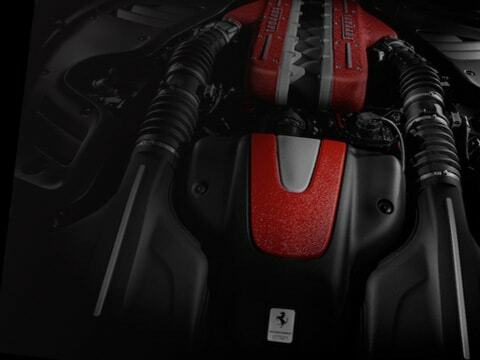 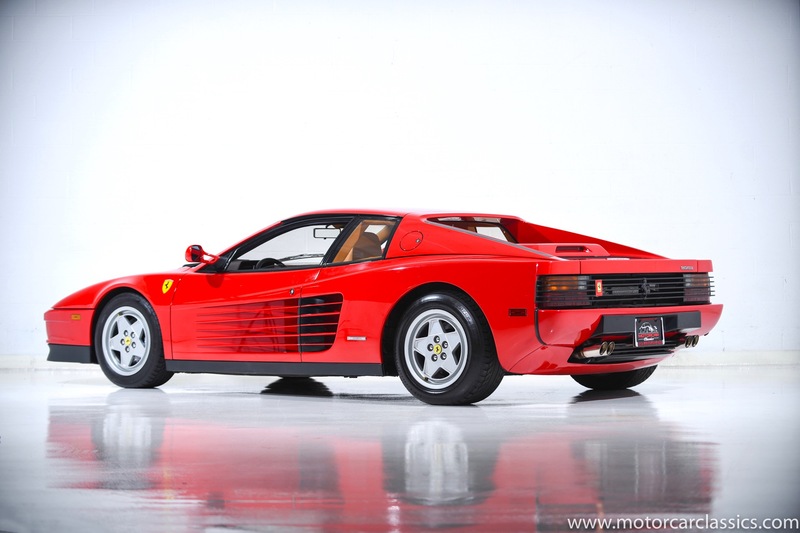 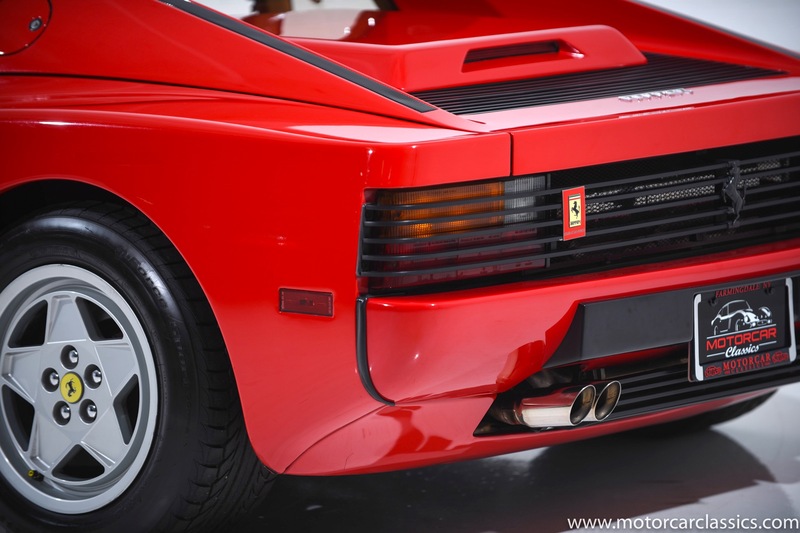 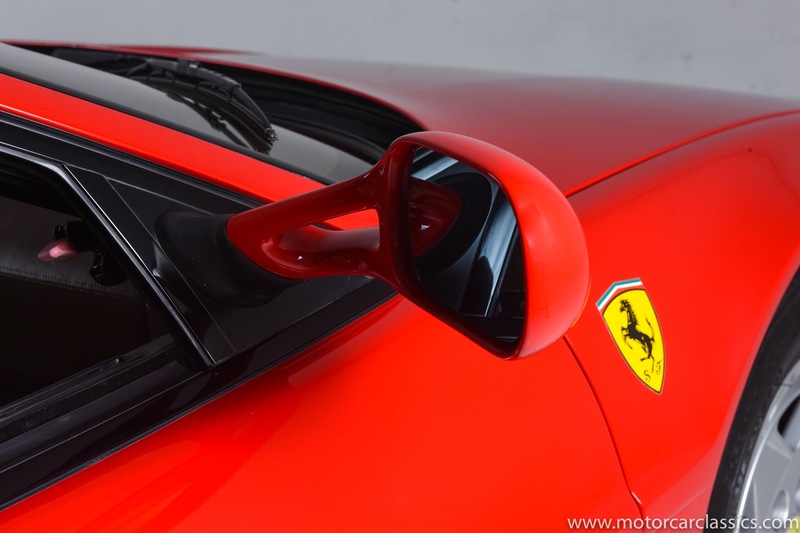 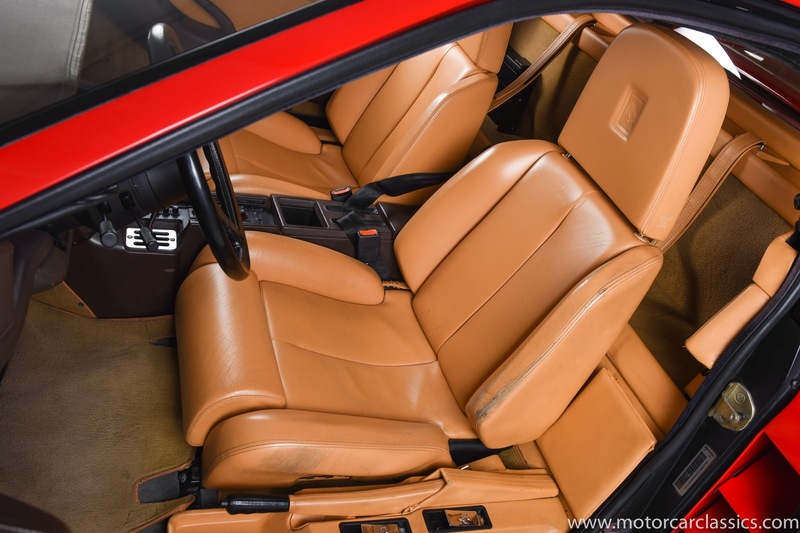 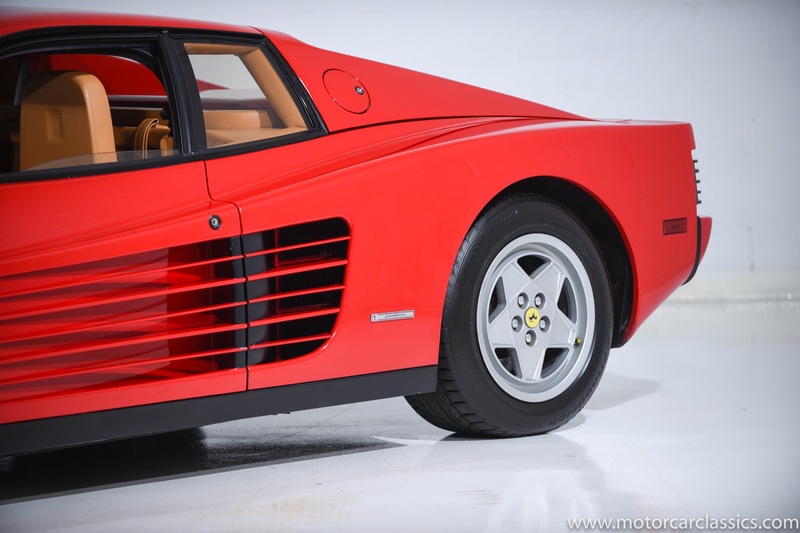 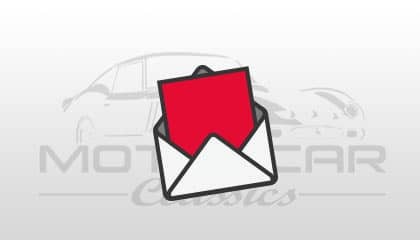 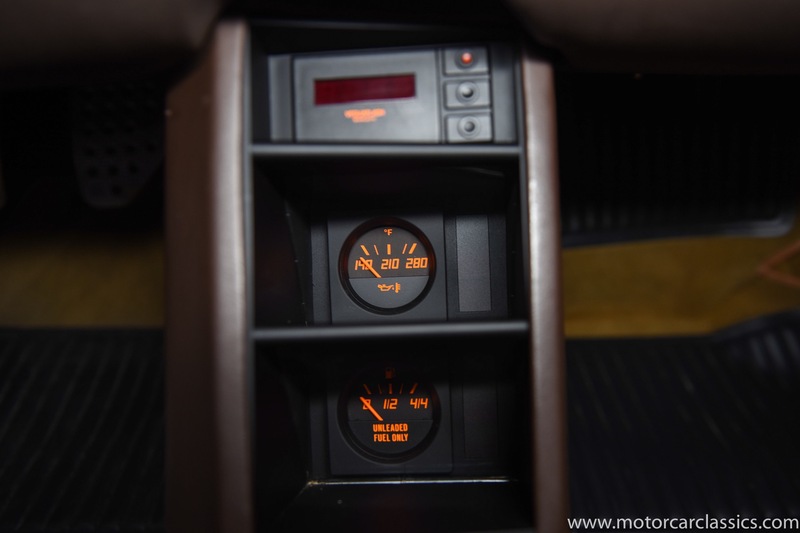 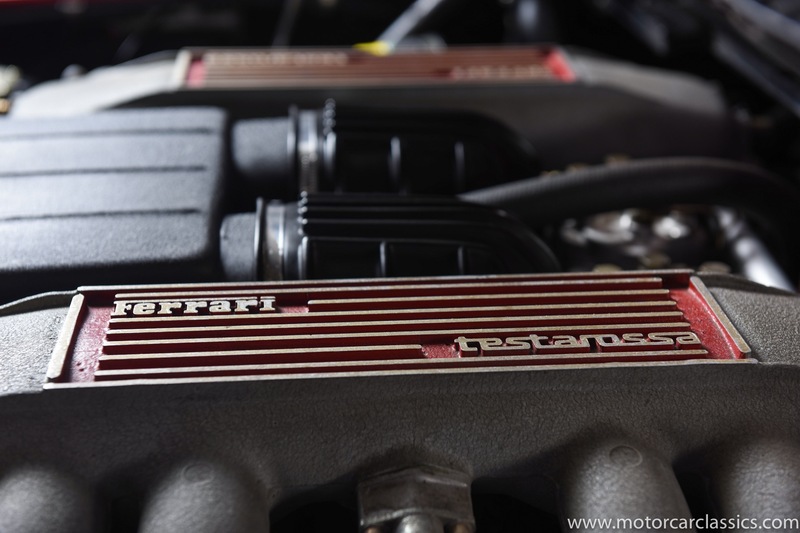 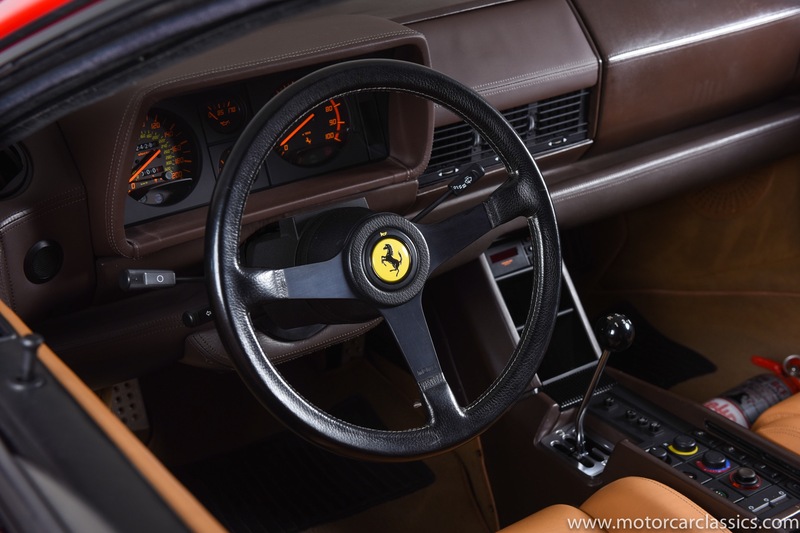 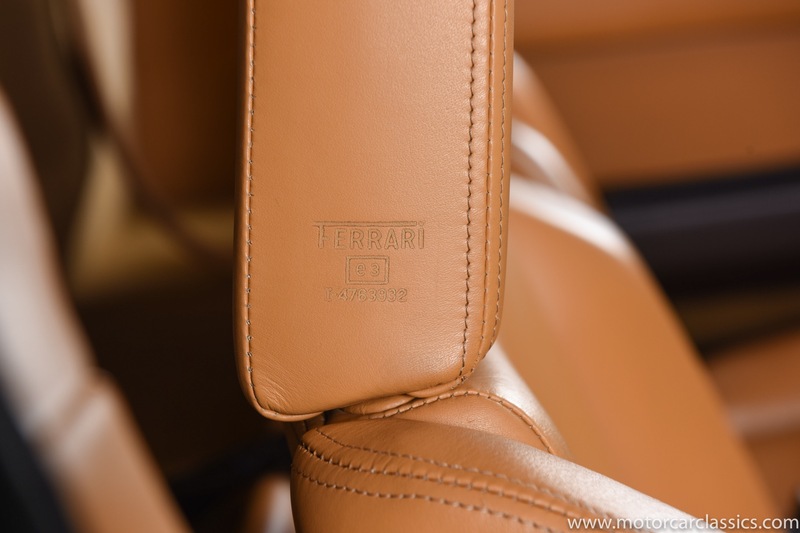 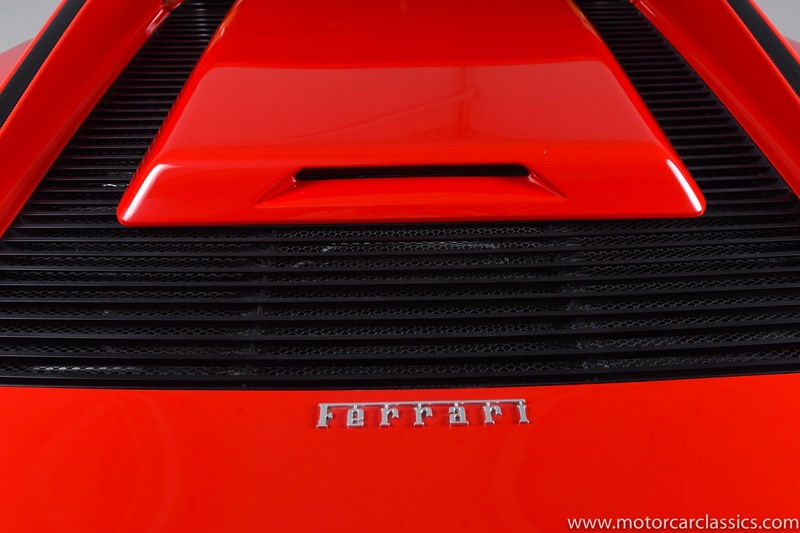 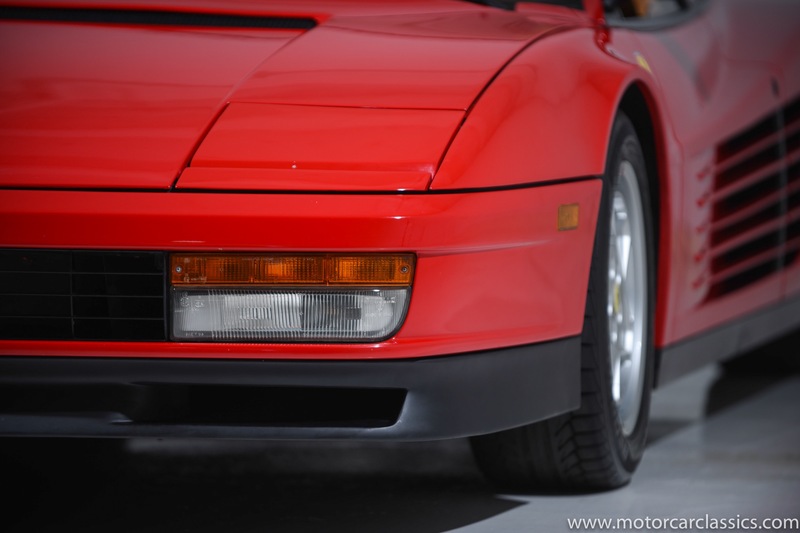 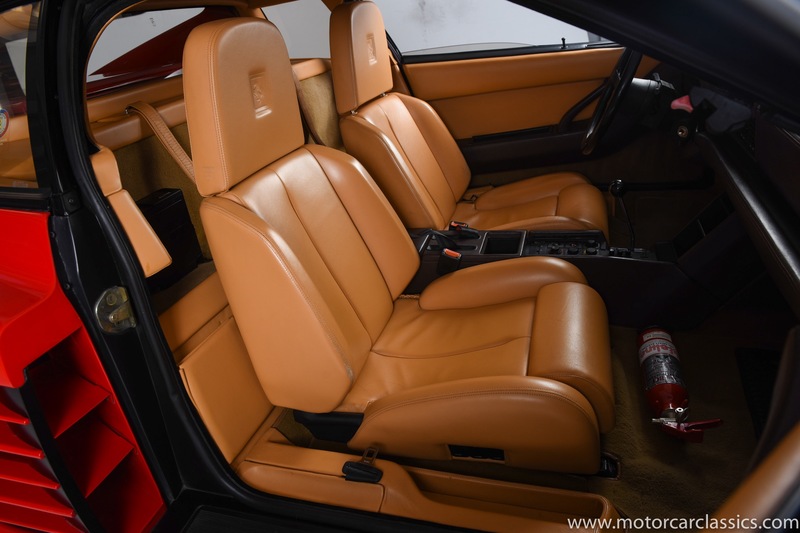 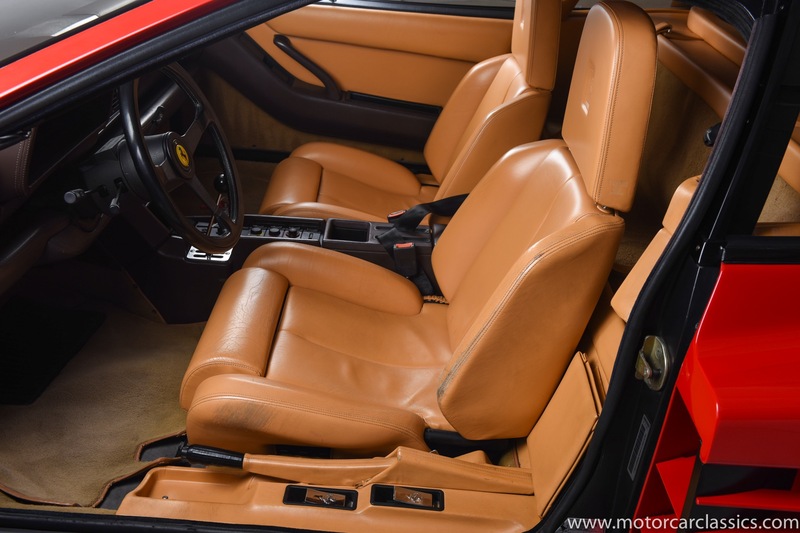 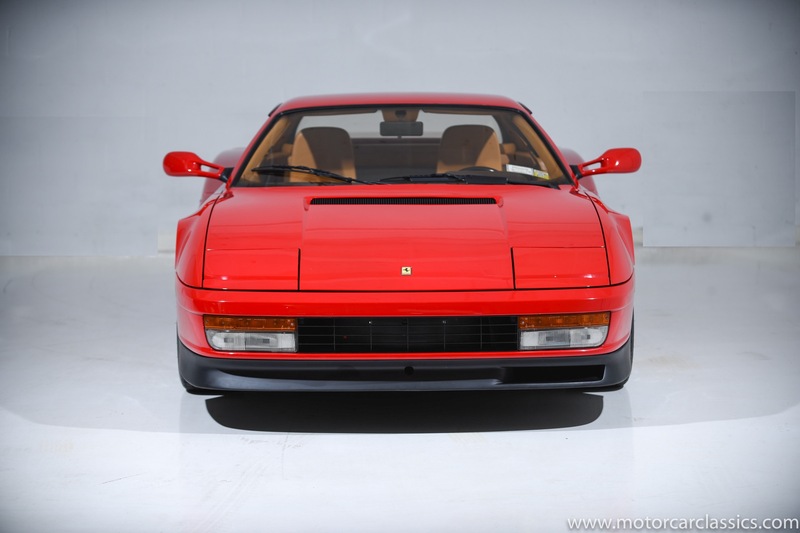 This Testarossa has been cherished from new and is essentially an all-original car that has been meticulously serviced for safe and reliable driving enjoyment.